"Removing ticks from dogs should be done within 24 hours to prevent the spread of bacterial or parasite infection from the tick to the dog. If many ticks are on your dog, use a collar immediately such as Preventic or a dip. For a few ticks, remove each one with tweezers. Clean the area around the tick with a disinfectant such as hydrogen peroxide before and after removal." To remove a tick from a dog, follow these easy steps. It is a simple procedure that when done quickly (before 24 hours go by), can prevent infection from spreading to your dog. Even if the tick is attached longer, the odds of infection are small. Tweezers or a removal tool such as the Tick-off Remover or the Tick Nipper: Tick Removal Tool. Each tool costs under $10. Small clear container that can be sealed. Skin Disinfectant such as hydrogen peroxide, rubbing alcohol or an antibiotic ointment. Step 1: Put on the gloves and soak the cotton balls with hydrogen peroxide. Wipe around the area where the tick is located to keep any bacteria that is outside the bite area from entering the area where you remove the tick. Write down the time and date you are removing the tick for future reference by a veterinarian if needed. Step 2: Using tweezers that have a thin end or a commercial tick removal tool, grasp the tick at the head and pull at a 90 degree angle (straight out) from the body. Press against the skin of your dog, but don't pinch the skin. 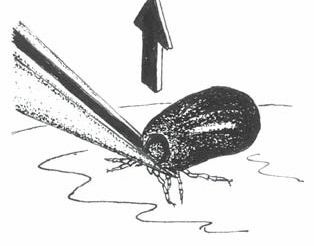 Don't squeeze the tick so hard that fluid can escape from the tick. The tick should come right off. If the head is buried deep into the skin, it may not come of when you pull. If you can't easily remove it, leave it in place. A small red bump may form over it which will go away in 2 to 3 days. Place the tick into a clear container. Step 3: Clean the Area where the tick was removed with the ointment or hydrogen peroxide. Keep an eye on the area to ensure that it doesn't become infected. 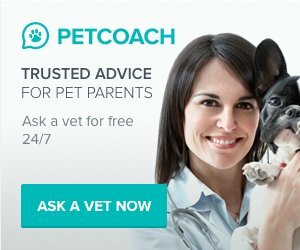 If your dog is outdoors and is covered with multiple ticks, considering using a Preventic collar. It will kills and detach ticks as well as sterilizes fleas and kills flea eggs for three months. Effective within 24 hours and continues to actively kill for three months as long as the collar is worn.The only problem is that you'll have to continually clean your dog's bedding and vacuum the area to ensure that the dead ticks are picked up. With the collar you may also want added protection of a spray such as Frontline Spray or a shampoo designed to kill and repel ticks. Products can be used in combination, however, you should check the labels to make sure each is compatible with the other. As an alternative to remove ticks dog, you can buy a dip. A dip is messy to use and creates toxic fumes. You can purchase one to use at home or have this done at your veterinarians office. If you dog only stays around your property, then the key to tick prevention is to remove tick food, which is small and large mammals. This includes everything from deer (which is why they are called deer ticks) to small mammals such as mice. While fences can be used to keep deer way, mice are a bit trickier. One humane and safe approach is to buy a product called Eco Health Damminix Lyme Control Packs. These packets are placed around your backyard and attract mice. The mice then bring them back to their nests as building material. Each packet contains a poison that only kills the ticks, not the mice. You can also help prevent ticks by keeping your yard free of tall grass and debris where ticks might hide.Ticks prefer being on higher ground to make it easier to jump onto a host. It is harder for a tick to jump on your dog if the grass is cut low to the ground, plus they prefer to stay out this type of area. You can also protect your dog before she goes outside. This can be accomplished with products such as Frontline Plus, Frontline Spray and other products that contain ingredients such as pyrethrins, permethrin or D-limonene. A good source of information on the various products available after you remove ticks dog is 1-800-PetMeds. The symptoms associated with tick borne illnesses such as lyme disease and rocky mountain fever are different in dogs than humans. The most common symptoms is the appearance of arthritis due to swollen joints. You may notice lameness in one leg, usually near the site where the tick attached itself. Other symptoms include fever, avoidance of food and diarrhea. Once treated with antibiotics, your dog should start to respond in 1 day. There is also a homeopathic remedy called PetAlive TF-Defense Formula that is a good source for additional reserach on tick borne illnesses. It contains natural ingredients which are associated wtih support of the liver and blood.